First Hotels has tailor-made business deals for those who travel a lot with work. The easiest and most profitable solution for your company depends on your travel habits and the number of hotel nights per year. Regardless of the chosen option, you get comfortable and accessible hotel rooms, excellent meeting & conference facilities, and full service on all First Hotels in Scandinavia. With First Business Deal you get up to 15% discount on hotels in Sweden, Denmark, Norway, Iceland, Belgium, and the Netherlands. You can choose from 120 hotels located in more than 80 destinations. We always guarantee the lowest price and if there is a change of plans, First Business Deal Flex can be refunded until 4 o'clock pm on the day of arrival without further costs. More than 120 hotels and 80 destinations in Sweden, Denmark, Norway, Iceland, Belgium, and The Netherlands. Does your company require a large number of hotel nights, conferences, meetings, and events? Then please do not hesitate to contact our conference department. We can arrange a special corporate agreement tailor-made to your company. 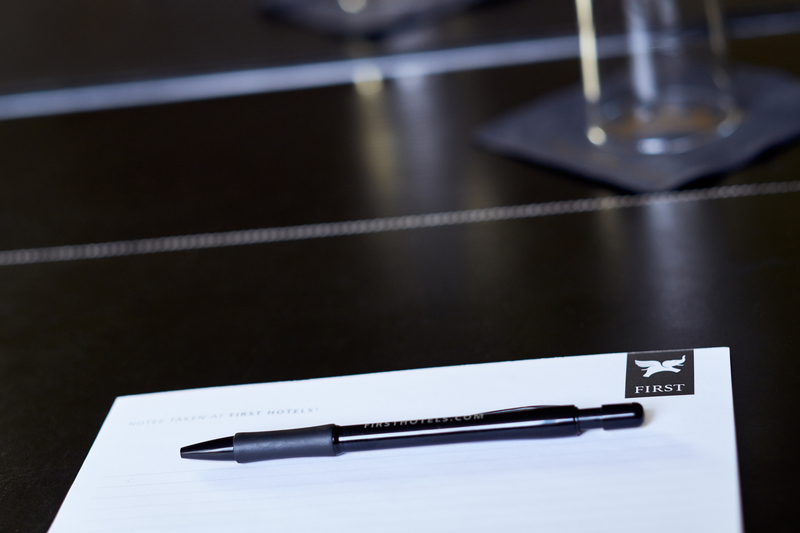 First Hotels and Thon Hotels have signed a cooperation deal in Scandinavia. Together Thon Hotels and First Hotels offer more than 120 hotels and 80 destinations in Scandinavia and Benelux. As a corporate customer at First Hotels you get lower rates at all Thon Hotels in Scandinavia as well. Read more about Business Deal at Thon Hotels.